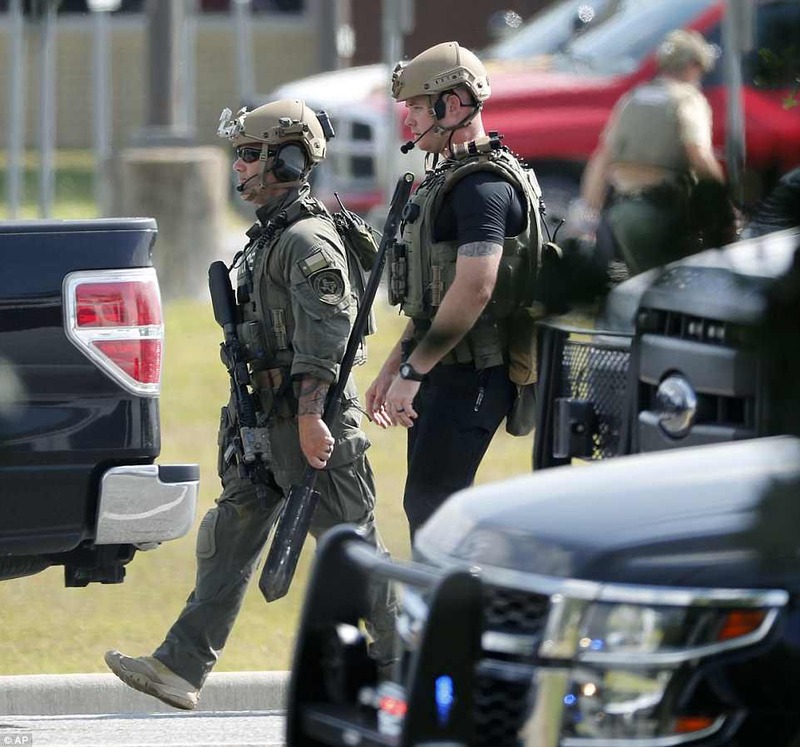 A heavily armed student gunman was taken into custody after entering a classroom with the word 'Surprise!' 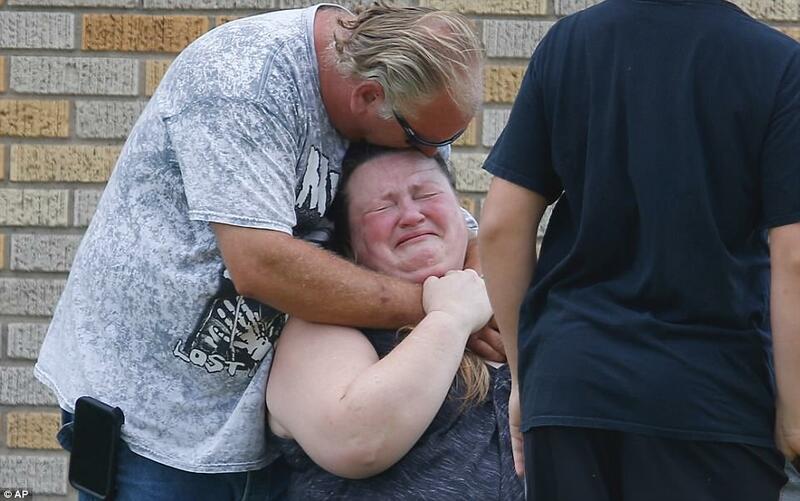 and shooting 10 people to death inside Santa Fe High School in Texas this morning. Harris County Sheriff Ed Gonzalez said the 17-year-old male suspect was taken into custody and a second person of interest was detained. The majority of the deceased victims were students, according to Gonzalez. As many as a dozen others were wounded, among them a police officer who was reportedly shot in the shoulder. 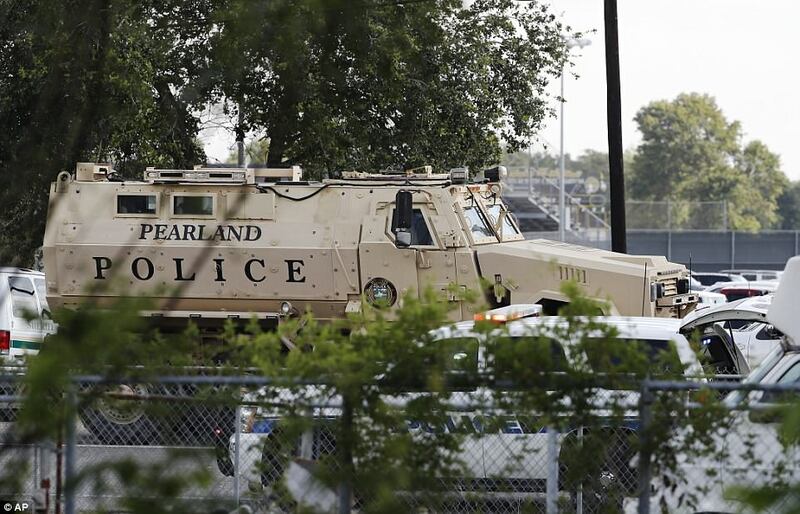 It was reported by Chron.com, citing law reinforcement sources, that the gunman carried out the massacre with an AR-15-style rifle, a pistol and a shotgun. Responding law enforcement officials later found pipe bombs both inside the school and at a site off campus, and urged town residents to be vigilant and call 911 if they see anything suspicious. 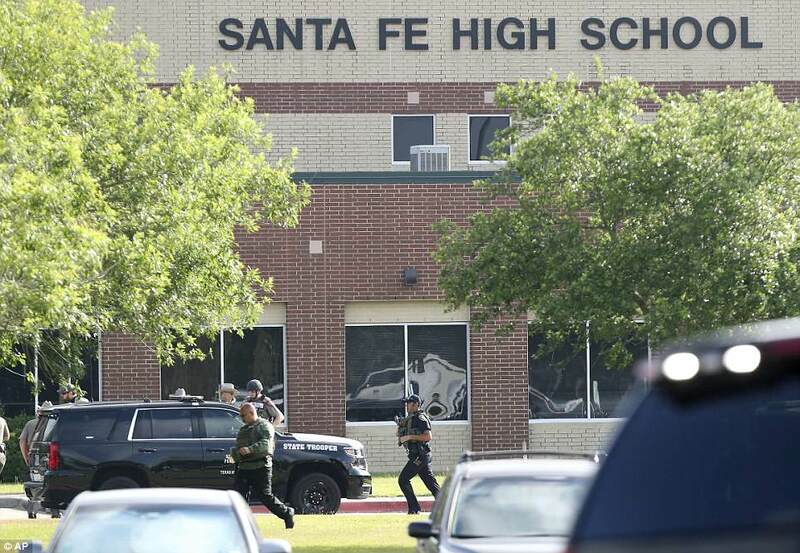 The Santa Fe Independent School District said in a statement Friday that authorities are in the process of rendering the recovered explosive devices safe. There’s no indication how many devices have been found. Police responded to the school on State Highway 6 near Morning Glory Drive in Santa Fe just before 8am after getting reports of shots fired. 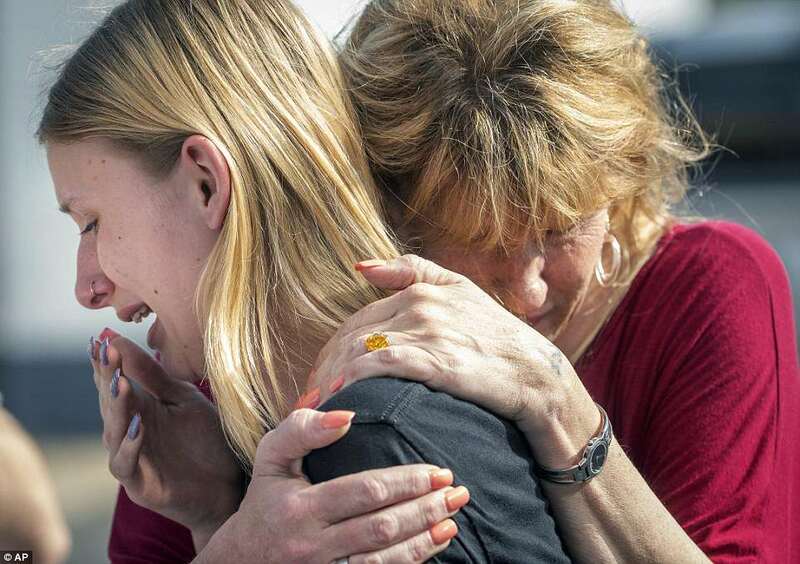 Witnesses described how the unnamed gunman burst through the door of a first-period art class and yelled 'Surprise!' before opening fire on his classmates. Another student told ABC13 in an earlier phone interview that the suspect came into her first-period art class and started shooting at 7.45am. 'We thought it was a fire drill at first but really, the teacher said, "Start running,”' the student told the television station. 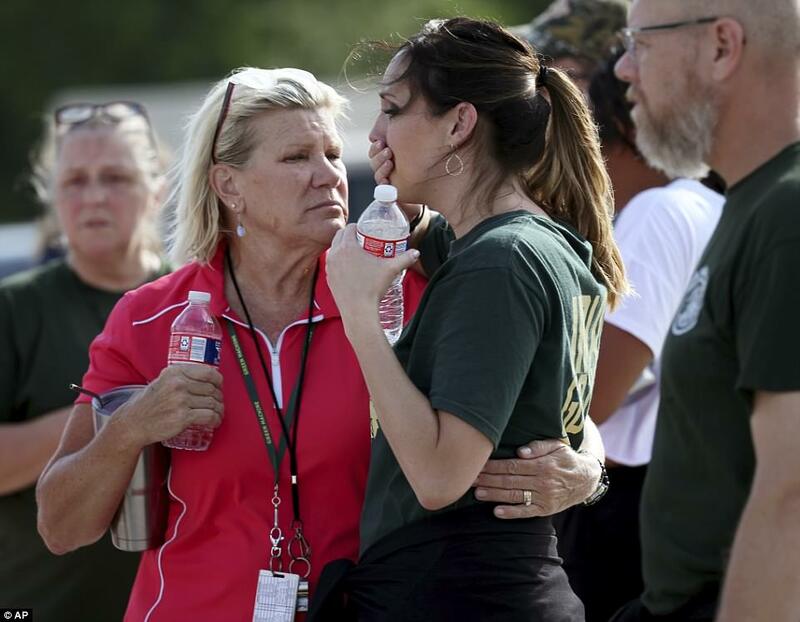 Santa Fe Police, Galveston County Sheriff's Office and ATF agents responded to the school. 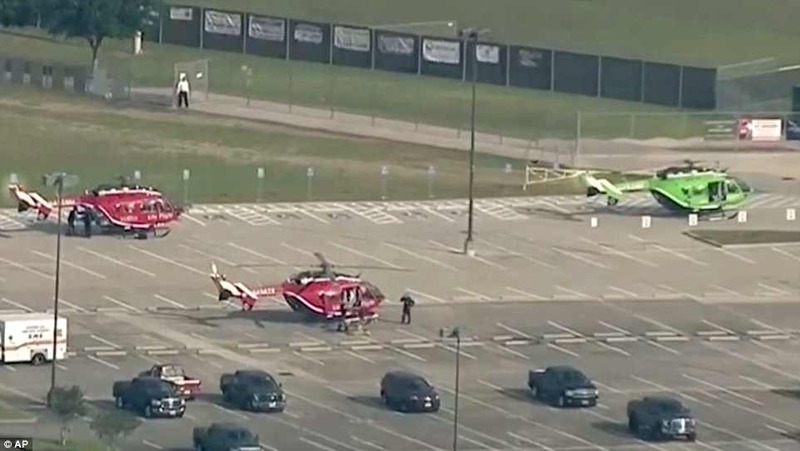 Medical helicopters were pictured in the parking lot, along with multiple ambulances. 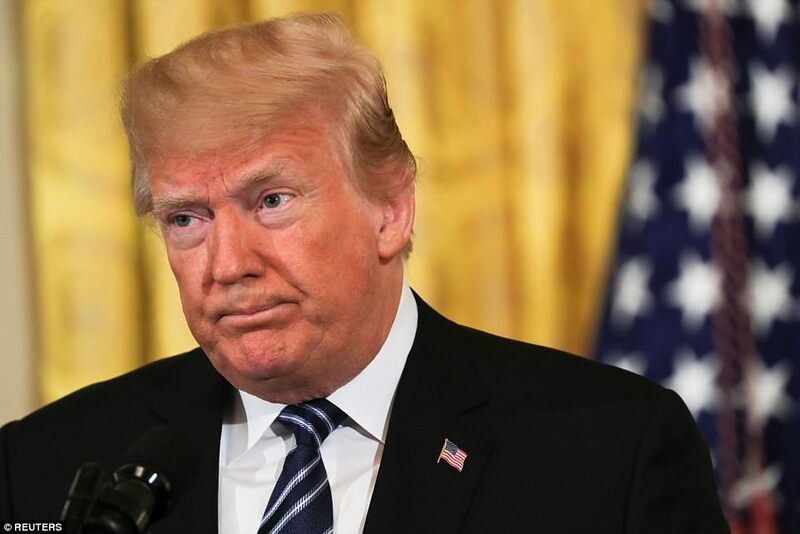 Trump again weighed in on the massacre in Texas as he delivered remarks during the Prison Reform Summit at the White House, expressing his 'sadness and heartbreak' and saying that his administration is closely monitoring the situation. 'This has been going on too long in our country – too many years, too many decades now,' he went on to say. 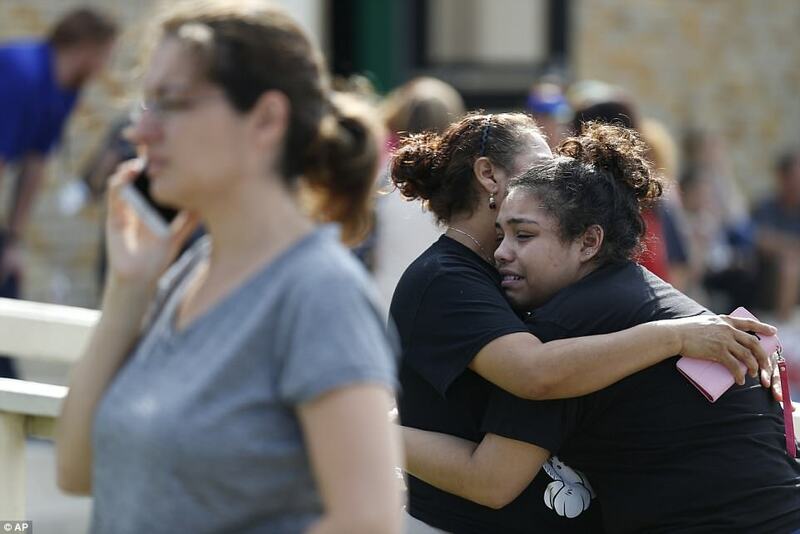 'We grieve for the terrible loss of life and send our support and love to everyone affected by this absolutely horrific attack to the students, families, teachers and personnel at Santa Fe High. 'We're with you in this tragic hour and we will be with you forever. My administration is determined to do everything in our power to protect our students, secure our schools, and to keep weapons out of the hands of those who pose a threat to themselves and to others. 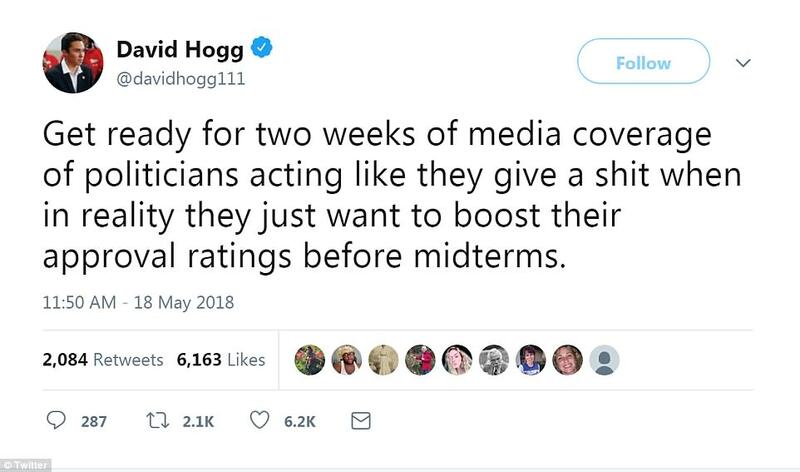 David Hogg, the outspoken survivor of the February 14 school shooting in Parkland, Florida, that left 17 dead, lashed out on Twitter at politicians for failing to do anything to rein in gun violence in the US. 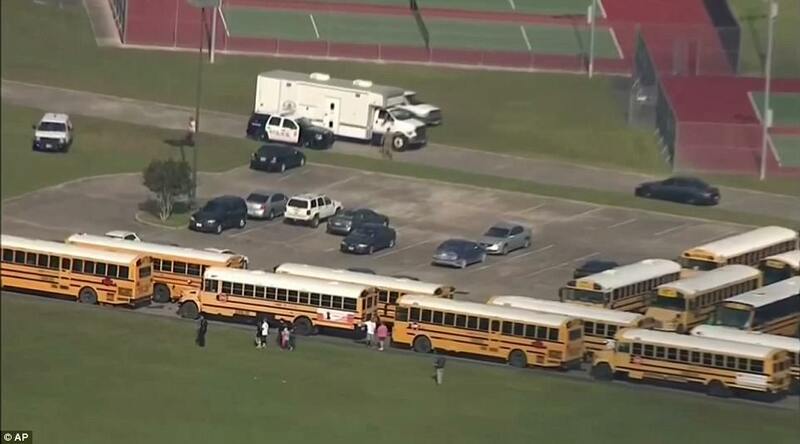 News chopper footage showed a small crowd of students emptying their backpacks for inspection on the grass. 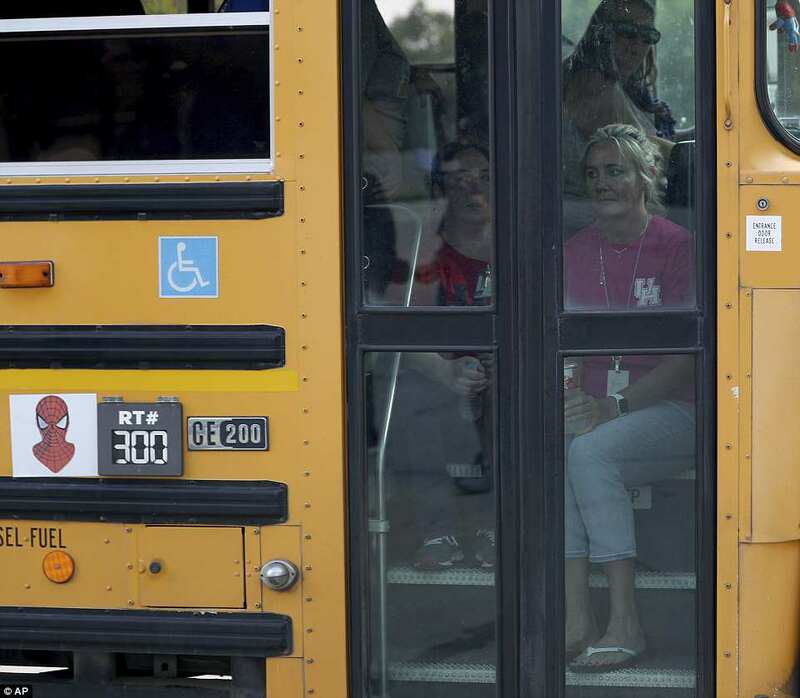 Students are being transported to Alamo Gym to reunite with their parents. Santa Fe High School has more than 1,400 students in grades 9-12. The senior class was scheduled to graduate on Sunday. In late February, the school was briefly put on lockdown over 'popping sounds' thought to be gunshots that were heard outside. Police arrived on campus to investigate but no threat was found.